You will gain the privacy you need without losing the light. Entryway will be bright without losing your privacy. Add light and beauty to your entryway. Beautiful stained glass will compliment your kitchens windows and cabinet doors. Added beauty for your homes transom windows. Add beauty and privacy to your hallways. 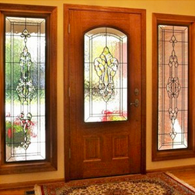 Add new life to your stained and leaded glass. Timeless beauty for your religious windows. 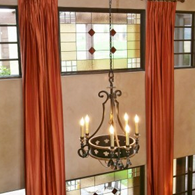 Add Frank Lloyd Wright inspired design to your home. 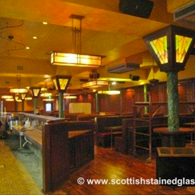 Add eye catching stained glass designs to your commercial space. Whether you are looking for stained or leaded glass to compliment your home’s interior design, religious stained glass for your temple or church, or even stained glass for your business or nonprofit, we are here to serve you with the world’s most beautiful stained glass windows. 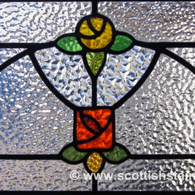 We serve both Kansas and Missouri from our hub in Kansas City and are the local branch of Scottish Stained Glass. We’ve produced over 75,000 windows since starting our company in 1991. Your home is very likely the largest investment you have or will make in your life. Whether you plan to sell your home in the near future or pass it down to your children, part of smart home ownership is adding value to your home year after year. Stained glass windows are an excellent and affordable way to add individuality AND value to your home both inside and out. There is no denying that stained glass adds an element of outside sophistication to any home. A seemingly small detail, stained glass windows add instant curb appeal to any home. 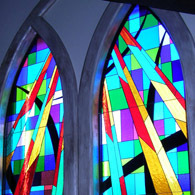 The often modern or bright colors on stained glass windows help your house stand out from your surroundings. Even subtle colors and privacy class add a unique aesthetic to the outside your home. The effects of stained glass windows on your home matter most because that is where you spend almost all of your time. 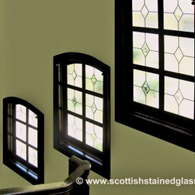 Stained glass windows transform light and act as filters from harsh direct sunlight. They also give you an added layer of privacy and security. Most of all, inside of a home, stained glass windows create a warm and welcoming ambiance few other home improvements can. Kansas City Stained Glass has added thousands of windows to Kansas city homes like yours. We know how valuable the addition of stained glass windows can be to the resale value of your home and we can help you make educated decisions for windows with the best ROI. We serve Kansas City, Overland Park, Leawood, Lawrence, Mission Hills, and Olathe areas and have over 20 years experience in stained glass. Contact us today to learn more about our process, how our product will benefit your home and to schedule a free consultation today. Contact us today to schedule your free onsite consultation. We will come to your home, discuss your project and create beautiful, custom stained glass for nearly any application you can imagine. Not only do we install our glass in bathrooms, doors, sidelights, and transoms, but also bedrooms, hallways, basements, kitchens and so much more! 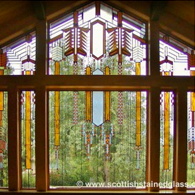 When it comes to stained glass windows for your home the possibilities are literally endless. 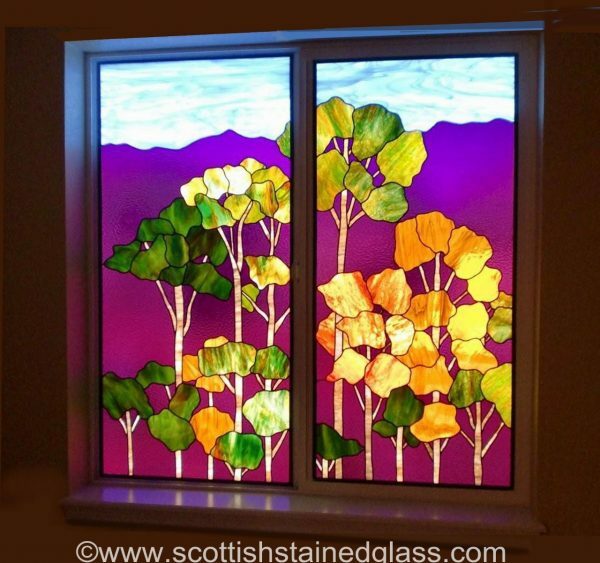 We can install stained glass in any window frame in your house or even create a one of kind stained glass panel for you to hang on a wall. However, some of our most popular locations are requested most frequently because they add a special ambiance or value to a home. 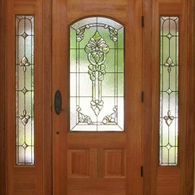 Sidelight Stained Glass Windows: These windows are the tall, thin windows that run along the side of any door but most often the front door of a home. They come in a variety of sizes and sometimes even shapes, although rectangular is the most common. While they are great for letting in light and letting you see people on your porch, they also allow people to see directly into your home. 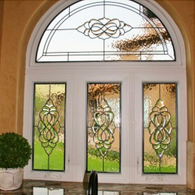 It is, for this reason, many of our clients opt for frosted or beveled stained glass to be added to their sidelights. This type of glass obscures the view from the outside without sacrificing one bit of natural light, while at the same time creating a more dramatic, grand entryway for your home. 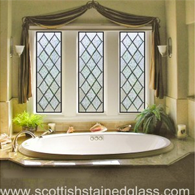 Bathroom Stained Glass Windows: For this area of your home, privacy is of the utmost importance. While bathroom windows are fantastic at letting in natural light, many homeowners choose to cover them with shades or curtains to gain privacy. 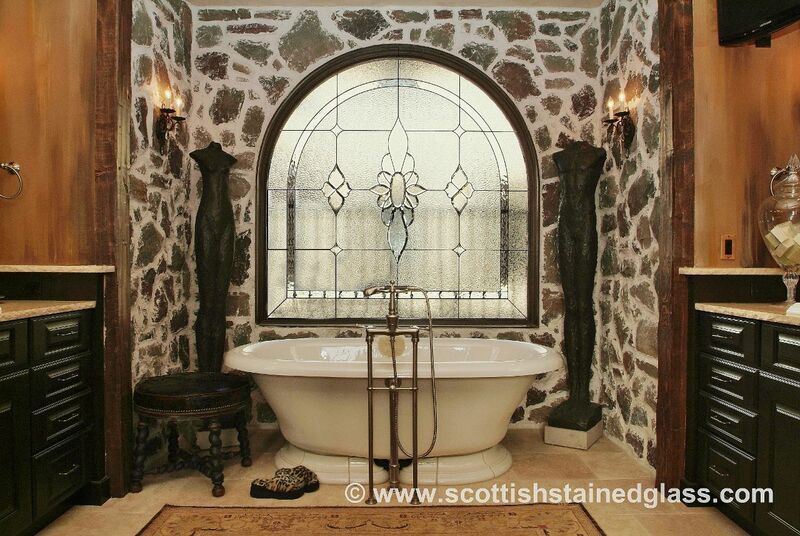 However, with stained glass in your bathroom, you can have it all! Stained glass will let in the light but keep out the eyes of an outsider. They are also extremely functional design accents, transforming any bathroom into the picture of elegance and luxury. 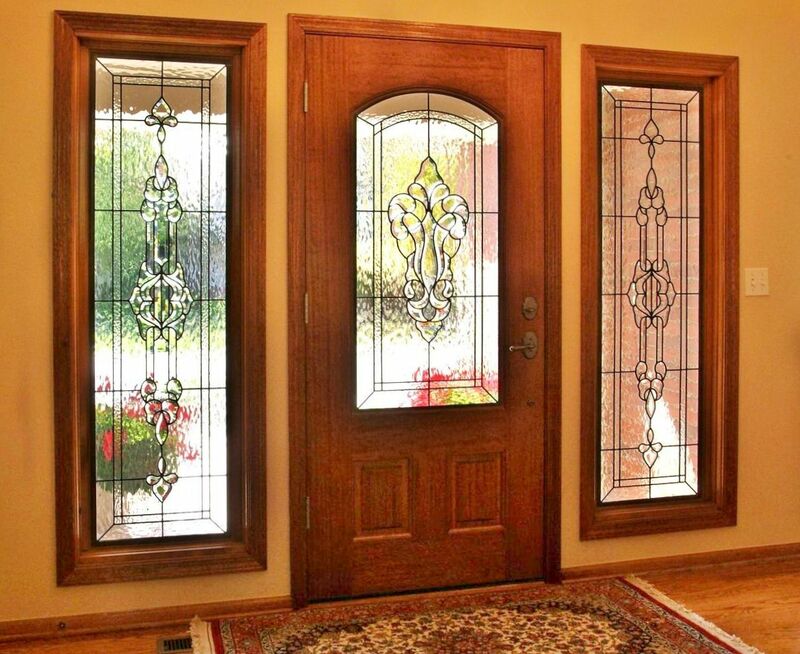 Entryway Stained Glass Windows: Entryway stained glass is actually made up of three popular stained glass areas: sidelight windows, transoms, and door windows. All of these elements together let in abundant natural light and are the first elements people entering your home see. 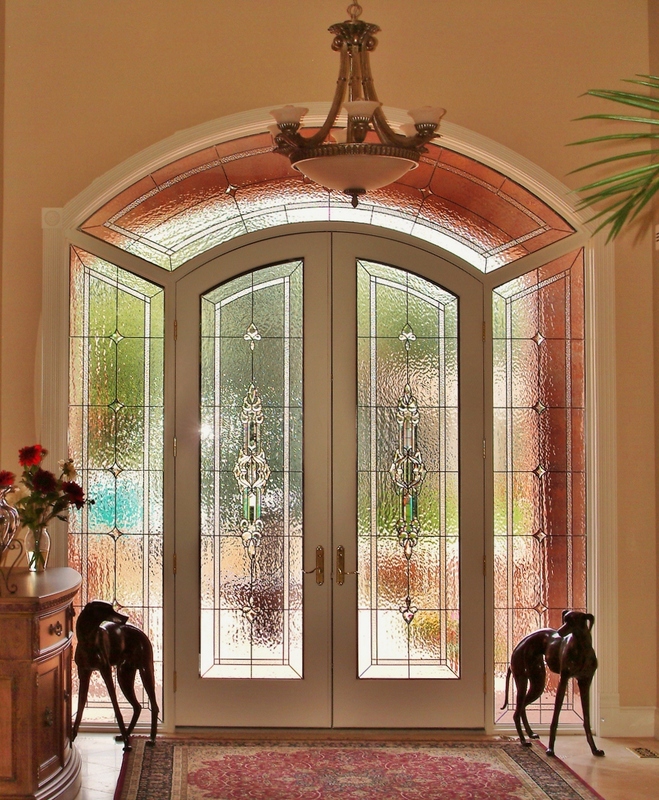 Stained glass entryways take your home to the next level and create a magical welcoming experience for those entering your home.